Vendors of traditional ICT hardware are challenged with integrating new applications in a short time-to-market solution. Even minor modifications can require extensive resources. Cloud computing answers the challenge with interoperable standards: flexible, on-demand resources that allow the interchange of system modules for processing, data transfer and storage. 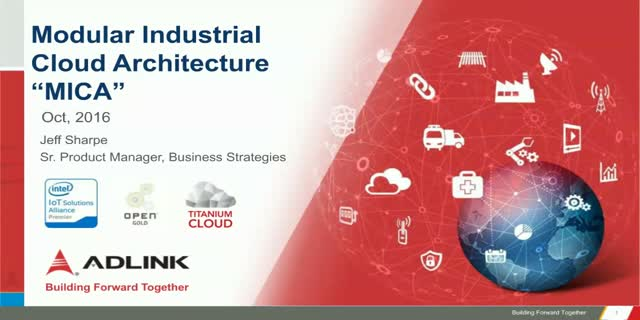 This webinar will introduce ADLINK’s vision for the transformation of ICT infrastructure to a more flexible, open design with Modular Industrial Cloud Architecture (MICA).